We provide seamless anesthesia billing services. Medac is a trusted partner for practices and firms across the United States and offers robust anesthesia billing services. Medac handles all aspects of the billing process: point of service charge capture, data entry, ICD-10 and CPT coding, charge batch reconciliation, documentation errors and omissions resolution, concurrency calculation and conflict resolution, claims submission, payment posting, underpaid claims monitoring, resolution, and reporting, denial management monitoring, resolution and reporting, and accounts receivable management. Through our preferred partnerships with ePreop, Survey Vitals, AnesthesiaOS, and QGenda, Medac also provides practical solutions for quality data capture and reporting, patient satisfaction data capture and reporting, Electronic Health Records (EHR) and comparative and predictive analytics, and OR utilization data and reporting. We continue to refine our business processes as part of our commitment to continuous improvement. We tirelessly dedicate resources to ensure that our clients’ charges are billed accurately and that we achieve maximum reimbursement. Included in Medac’s fees are anesthesia practice management services that save time and money for anesthesiologists across the country. Our clients are able to leverage our vast resources to meet the demands of their specialized needs more efficiently. Medac adheres to a rigorous Corporate Compliance Program spelled out in a very detailed Corporate Compliance Plan. This document serves as an internal safeguard, ensuring that each function of the anesthesia billing services and collection process complies with all federal and state regulations, as well as private payor policies and guidelines. The Plan mandates that revisions in payor policy be constantly monitored, updated and loaded into the rules engine of the billing platform. Such updates are simultaneously relayed to applicable staff, including all members of our Compliance Department and Coding Department. At Medac, compliance is a primary and continuing educational process. The Compliance Officer assigned to your account regularly receives feedback from the billing, coding and compliance staff as to issues that may require client education and attention. In such instances, the Compliance Officer will communicate with our clients to ensure such issues are appropriately addressed. In addition to this periodic communication, Medac provides all of its clients regular compliance updates by way of “email alerts/blasts,” as well as semi-annual newsletters containing coding, billing, practice management and compliance-related articles. Our compliance staff is always available when you have an issue or need an answer. To ensure quality and maximize accuracy in the claims submission process, our Compliance Department reviews the work of data entry, coding, payment and claims follow-up personnel on a daily basis, flagging errors, correcting mistakes and using such opportunities to further educate our billing staff. This QA function is vital to our success and one of the differentiating factors for our firm. Unlike most of our competitors, we’ve invested significant resources to ensure that claims go out clean the first time. Medac is the clear industry leader in anesthesia billing compliance. As the first anesthesia revenue cycle management company to implement a true, formal, comprehensive, corporate compliance program, Medac’s Compliance Department is staffed with extremely competent, nationally recognized anesthesia business consultants that have set the precedent for ethics and integrity in anesthesia billing compliance. Since its inception, Medac has maintained a full-time in-house general compliance counsel. No anesthesia-specific billing firm can match Medac’s commitment to, and expertise in, the compliance arena. No other firm has devoted more resources to this critical function. As a result, our clients can be confident that their claims are being submitted with an extraordinary degree of accuracy. Medac adheres to a rigorous Corporate Compliance Program spelled out in a very detailed Corporate Compliance Plan. This document serves as an internal safeguard, ensuring that each function of the billing and collection process complies with all federal and state regulations, as well as private payor policies and guidelines. The Plan mandates that revisions in payor policy be constantly monitored, updated and loaded into the rules engine of the anesthesia billing services platform. Such updates are simultaneously relayed to applicable staff, including all members of our Compliance Department and Coding Department. At Medac, compliance is a primary and continuing educational process. The Compliance Officer assigned to your account regularly receives feedback from the billing, coding and compliance staff as to issues that may require client education and attention. In such instances, the Compliance Officer will communicate with our clients to ensure such issues are appropriately addressed. In addition to this periodic communication, Medac provides all of its clients regular compliance updates by way of “email alerts/blasts,” as well as semi-annual newsletters containing coding, billing, anesthesia practice management and compliance-related articles. Our compliance staff is always available when you have an issue or need an answer. Medac’s Compliance Department performs extensive reviews of its accounts, with clients being audited at least once per quarter, on a rotating basis. The audit results are then distributed to your Account Executive, Account Supervisor and the Corporate Compliance Officer. Modifications must be made within three days of receipt of the findings. Medac’s financial management team provides the professional expertise you need to optimize financial performance and help you succeed in the business of healthcare. Coordination of Federal and State Income Tax Returns. W-2 and Form 1099 preparation. Accounts payable — processing of invoices with checks signed only by authorized physicians. Payroll and complete tax filing services with direct deposit using a third party payroll service. 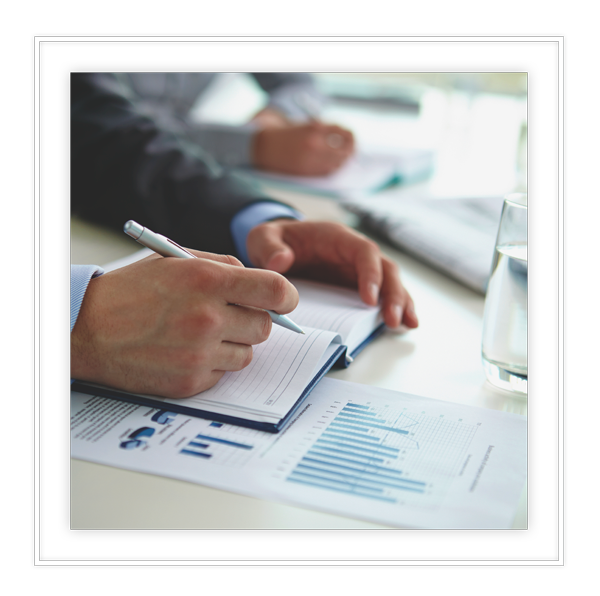 Financial Review and Analysis of Financial Statements —Each month our practice management group will provide a corporate financial report that includes a summary of the group’s income and expenses by cost center. Budgeting and Cash Flow Support — Our anesthesia practice consultants will develop an annual budget for the group based on projected income and historical expenses. Each quarter, the group will receive a comparison of the group’s actual financial activity to the group’s budget. Fringe Benefit Design Assistance & Management. Coordinate with third party entities for health benefits, profit sharing, etc. Insurance and Risk Analysis for appropriate placement of your malpractice coverage. Since the inception of provider networks and managed care organizations, proper and timely provider enrollment has become a key component in the profitability and viability of every anesthesia practice. Managed Care Organizations, including Medicare and Medicaid require comprehensive credentialing processes to ensure that anesthesia providers meet all of the necessary requirements and are appropriately qualified to practice anesthesia and deliver quality anesthesia care. Provider Enrollment is a critical component of the billing process and if not properly performed and managed, may cost your practice significant revenues. Medac’s team of provider enrollment specialists combined with the Kam Technologies RCM Platform’s unique integration with the Sy.Med OneApp provider credentialing and enrollment software, ensures a seamless process for timely provider enrollment and maintenance. Our provider enrollment specialists help you save tremendous resources and reduce administrative burden by managing and tracking credentialing applications and payer enrollment forms.